As of the completion of the 2017–18 regular season, 109 ice hockey players in the National Hockey League (NHL) have scored at least 100 points in a single NHL regular season. Collectively, these players have achieved this feat on 276 occasions, playing for 25 franchises. Including seven franchises that have changed cities, there have been 28 teams with 100-point players. The first NHL season in which a player scored 100 points was the 1968–69 season: on March 2, 1969, Phil Esposito scored his hundredth point of the season. Esposito finished the season with 126 points, and two other players achieved 100 points that season: Bobby Hull, who finished with 107 points, and Gordie Howe, who finished with 103 points. (All three scored goals to reach the milestone.) The first (of only five) defencemen to reach the 100-point mark in the NHL was Bobby Orr, in the 1969–70 season. Since 1968–69, there have only been seven seasons without a 100-point player. No player achieved 100 points during the lockout years of 1994–95, 2004–05 (which was cancelled outright), and 2012–13. In addition, no player achieved 100 points in the full seasons of 1999–2000, 2001–02, 2003–04, and 2014–15. The 100-point player became a rarity in the eight seasons from 1996–97 to 2003–04. Only eight unique players, on eleven occasions, playing for only five teams, reached the century mark. A record 21 players scored 100 points in 1992–93, the same season that a record 14 players reached the 50-goal plateau. The second most to achieve 100 points in the same season was 16, in the 1984–85 NHL season. The player with the most 100-point seasons is Wayne Gretzky, with 15 (four of which were 200-point seasons). 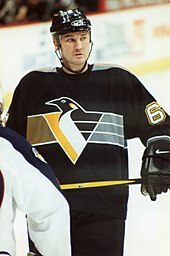 Mario Lemieux is second, with 10 seasons of 100 points. 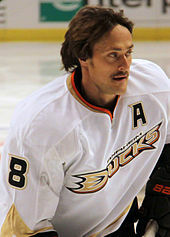 Gretzky also holds the record of 13 consecutive 100-point seasons. The defenceman with the most 100-point seasons, and the most consecutive, is Bobby Orr, with six. Three players could have made the list on assists alone: Orr, Gretzky (11 times), and Lemieux have had more than 100 assists in a single season. 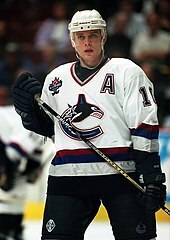 On six occasions a player has been traded during a 100-point season: Jean Ratelle, Bernie Nicholls, John Cullen, Teemu Selanne, Wayne Gretzky, and Joe Thornton. Thornton is also the only NHL player in history to be traded in the same year as he won the Art Ross Trophy as the NHL’s leading scorer. Excluding the six split-team situations above, and excluding franchises that have simply changed cities, 16 players have achieved complete 100-point-or-more seasons with two teams. The first was Marcel Dionne in 1974–75 with the Detroit Red Wings and then 1976–77 season with the Los Angeles Kings. No player has done this with three teams, unless the split-team situations are counted, in which case Gretzky would be considered the only player to accomplish this. Only five defencemen have scored at least 100 points in a season. They are Bobby Orr (six times), Paul Coffey (five times), Denis Potvin, Al MacInnis, and Brian Leetch (the most recent, nearly three decades ago, in 1991–92). The youngest player to achieve a 100-point season is Sidney Crosby, at 18 years, 253 days old. He scored his 100th NHL point on April 17, 2006, the Pittsburgh Penguins' 81st game of the 2005–06 season, his rookie season. The oldest player to achieve a 100-point season is Gordie Howe, at 40 years, 364 days—the day before his 41st birthday. He scored his hundredth point of the 1968–69 season on March 30, 1969 – only four weeks after Phil Esposito became the first ever player to score 100 points – while playing for the Detroit Red Wings. Wayne Gretzky is the only player to surpass the 200-point mark, doing so with the Edmonton Oilers four times. Mario Lemieux does have a 199-point season, however. Excluding the six split-team players above, the Pittsburgh Penguins have had the most incidents of a player achieving 100 points during the franchise's history, with 33. Excluding the same six players, the Pittsburgh Penguins also had the greatest number of unique players achieve 100 points, with 12. The Boston Bruins and the Edmonton Oilers have had nine players achieve 100 points while with the team. The Boston Bruins were the first team to have four players achieve 100 points in the same season, 1970–71. The Edmonton Oilers are the only team to have achieve this feat multiple times, seeing four players score 100 points in three seasons – 1982–83, 1983–84 and 1985–86. The Pittsburgh Penguins is the only other team to register four players with 100 points in the same season, 1992–93. The Pittsburgh Penguins have had at least one 100-point player in 22 seasons. 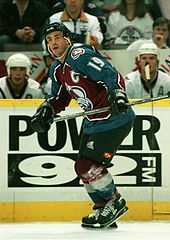 The Los Angeles Kings and the Colorado Avalanche (formerly the Quebec Nordiques) have both achieved this feat in 14 seasons. 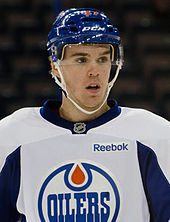 The Edmonton Oilers had at least one 100-point player in eleven consecutive seasons, from 1979–80 to 1989–90. 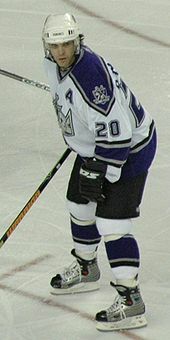 The Los Angeles Kings are the only team to have two players achieve 150+ points in the same year, with Wayne Gretzky (168 points) and Bernie Nicholls (150 points) achieving this in 1988–89. The Pittsburgh Penguins almost matched this feat in 1995–96, when Mario Lemieux scored 161 points and Jaromir Jagr amassed 149. Three franchises have had 100 point players before and after the entire team moved: the Hartford Whalers/Carolina Hurricanes, the Atlanta Flames/Calgary Flames, and the Quebec Nordiques/Colorado Avalanche. Three franchises have had 100-point players in their original city, but not their new city: Minnesota North Stars (now Dallas Stars), original Winnipeg Jets (now Arizona Coyotes) and Atlanta Thrashers (now Winnipeg Jets). 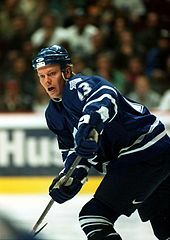 Six franchises currently playing in the NHL have never had a player achieve 100 points: New Jersey Devils (started as Kansas City Scouts in 1974–75), Florida Panthers (started 1993–94), Nashville Predators (1998–99), and the three newest teams: Columbus Blue Jackets & Minnesota Wild (2000–01) and Vegas Golden Knights (2017–18).